THE SKINNY: I'm finding dry shampoos to be very hit or miss. This one from New York Streets is another miss in my book. The problem is two-fold. First, the shampoo goes on as a very light mist and doesn't seem to deliver much action. My hair didn't look much different after I used it. Second, the shampoo smells kind of sickly sweet and the scent lingers. I try to use it in an open area, so the fragrance doesn't turn my stomach. If I'm going to put up with that smell, I need the shampoo to really work. That means pulling the day's grime out of my hair and adding some volume back in. KEEP OR TOSS: Toss. Stick with TRESemme's dry shampoo instead. It works well and it has a better price tag. 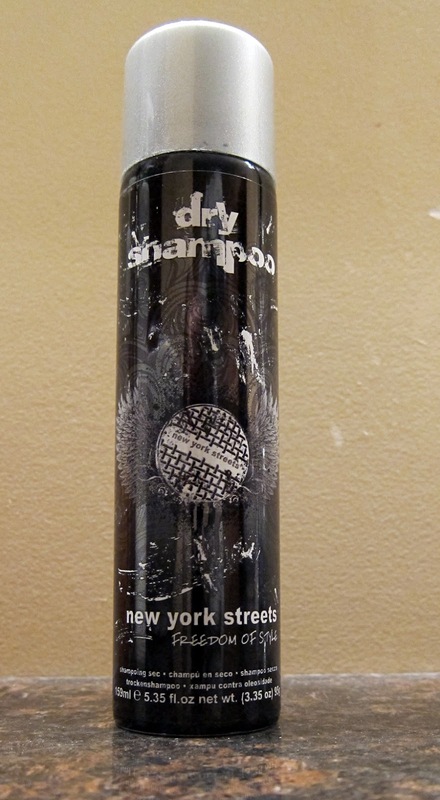 CHECK IT OUT: New York Streets has a whole line of hair products.